Jaime Lerner, a three-term mayor of Curitiba, turned the city into a model for quality public transport. In the 1970s, for example, Lerner created bus priority corridors—a new transport mode that was cheaper than metro but just as effective. Jaime Lerner will attend the Mayors´ Summit on September 9, in Rio de Janeiro. The event, which brings together hundreds of mayors across the globe, aims to inspire leaders to overcome public obstacles with creativity and improve quality of life in cities. The Mayors´ Summit is part of EMBARQ Brasil’s ten year anniversary celebration, which also includes the Cities & Transport International Congress on September 10-11. At the Summit, more than 80 speakers will lead interactive discussions and share ideas for creating innovative solutions for cities. Interested participants can register at cidadesetransportes.org. 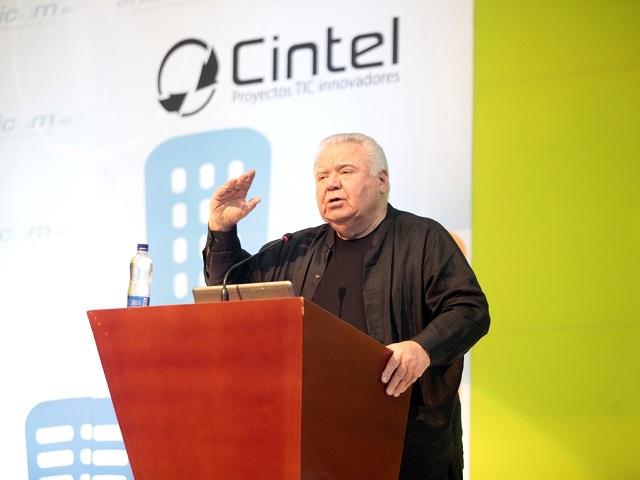 You were the great mind behind the priority bus system in Curitiba. 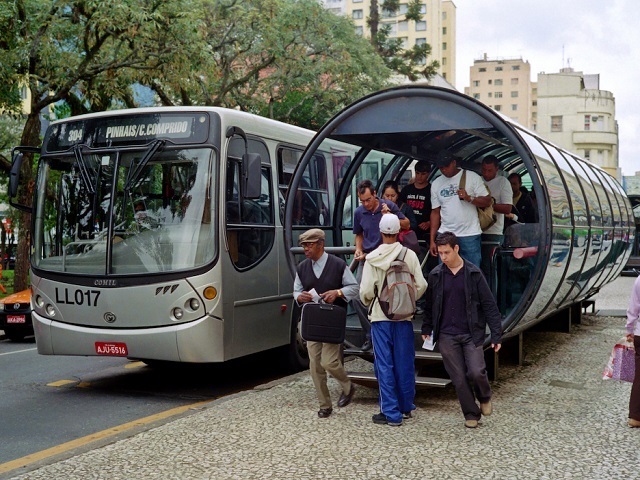 Currently, BRT systems have also been launched in Rio, Belo Horizonte and Brasília. Over 200 priority bus system projects are underway in Brazil and have been implemented in more than 190 cities around the world. How do you feel seeing this system spread? Jaime Lerner – I feel gratified and challenged to help this idea expand because we must move forward. It comes down to identifying the system, and creating more and more networks. I believe that this—along with vehicle upgrades—is a necessary step to continuously improving the quality of public transport. Some cities are already doing this with success, others less so. In short, prioritizing public transport is vital. You always emphasize that large sums of money are not required to change cities. Which initiatives would you highlight to demonstrate this? What cities were able to completely change with little money? JL – Good examples include Bogotá, Mexico City, Seoul, Istanbul, and—starting now—Rio. The idea is that innovations are not restricted to dedicated lanes. We still have a long way to go. Our main concern should be to deliver a quality public transport system without sacrificing entire generations by keeping costs low. It is essential that things happen quickly, because innovating is about starting now and making inroads. What lessons have you learned as mayor? JL – I’ve learned that the planning process is a path that needs a goal, but you have to give the population space to correct you when you’re not on the right track. The important thing is to start. Start and continuously improve. Innovating is about starting. What were the major obstacles you faced when putting innovative projects into practice? JL – It has always been the reaction to new things. It’s a normal reaction. It’s important to start, because when people who resist new proposals see the effect of a new transport line or a project, they change sides; they come to understand how important it is. The greater the barrier, the greater the support that comes later when people are convinced that you took the right path. How do you imagine the cities of the future? JL – I don’t think the cities of the future will look like they’re depicted in Flash Gordon or Blade Runner, because cities today are not much different from cities 300 years ago. However, what has significantly changed are employment generators. Today, they are fewer in number, service areas have increased and industries are smaller and closer to home. This change is extremely relevant. Another aspect is that cities of the future cannot be car-dependent, as cars will no longer be the primary mode of urban transport. Cars are the cigarette of the future. Of course you’ll still have a car, but the way you use it will be different. You’ll use it to travel, for leisure—but for everyday transport in a city you’ll have to rely on a good public transport system and the combination of multiple transport modes. What statement or idea would you like to share with the world? JL – If you want creativity, cut a zero from your budget; if you want sustainability, cut two zeros from your budget; if you want solidarity, own your identity and respect the identity of others. About the Mayors’ Summit: Hear from over 80 experts about successful strategies and best practices for making innovative and sustainable urban solutions work on the ground. Join as Jaime Lerner, Ken Livingstone, Enrique Peñalosa, Mary Jane Ortega, and other internationally recognized mayors speak about their experiences. See more and register at www.cidadesetransportes.org, and use #CTBR2015 on Twitter.